Whether you’re a beginner picking up the reins for the first time or an experienced rider preparing for competition, we offer a relaxed yet highly effective learning environment. Whatever your age, we have the skills and experience to help you advance. Barton End is approved by both the BHS (British Horse Society) and the ABRS (Association of British Riding Schools), and with more than 40 horses and ponies you’ll always find one suited to your needs. We offer enjoyable riding experiences with great value for money! You can choose from a wide range of group and individual lessons to suit you, and our covered and floodlit arenas allow you to take lessons at any time of year, whatever the weather. Try lessons in our show jump arena or mini cross-country course, or enjoy one of our off-road hacks in the beautiful Cotswold countryside around Nailsworth. Further your passion with clinics, training sessions and competitions which run throughout the year for riders at all levels. Abby has over 22 years of equestrian experience. Abby’s love of horses started at a young age, she had her first pony (Lundi) at 10. Abby competed at Pony Club and local competitions and her talent for teaching came naturally when she found herself teaching friends on her sister’s pony! Barton End became licensed premises in 2000 and has gone from strength to strength. This growth has been mainly due to her desire to ensure that all those who visit leave having had a positive experience whatever level of ability. Additionally Abby has ensured that all the Horses and Ponies enjoy their work and have plenty of variety which keeps them happy and healthy. 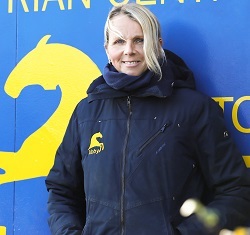 Karen has over 34 years of Equestrian knowledge & successfully competes in all disciplines. 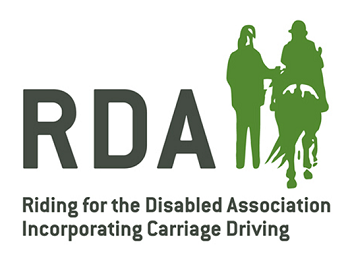 During 2014, Karen has represented her County & Region & has been selected by British Dressage to ride on the England Team. 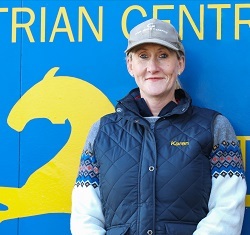 Karen has bred & trained horses & enjoys Ridden Showing, including riding at HOYS. She enjoys teaching children & adults, from beginners to advanced riders. 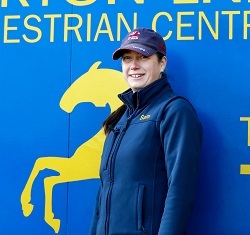 Karen also trains those working towards their BHS Instructor exams & Stable Management exams. Jan has been with Barton End since day 1. Her husband used to teach Abby and she has previously owned her own Riding School. With over 40 years’ experience, Jan brings an extensive teaching repertoire and has an exceptional ability to support and bring out the best in novice, nervous riders and beginners. 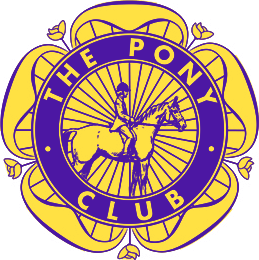 Take a look at our horses and ponies!